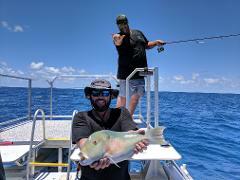 Half Day fishing charter to some of the Whitsundays best fishing locations on board Stryker with quality fishing equipment and tackle. .
What we do and what we target? 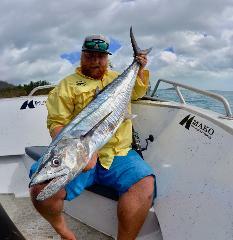 Trolling from location to location to target spanish mackerel or tuna but mainly reef fishing/ bottom bashing to catch fish such is coral trout, sweet lip, red emperor and much more. Fishing ground? 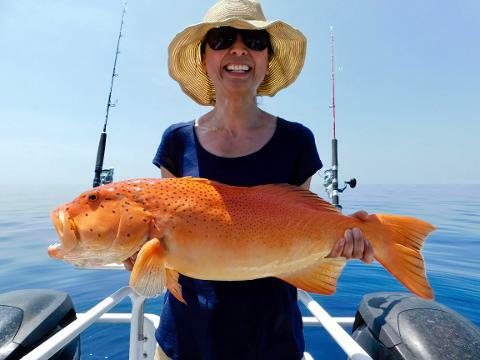 Outer & Inner Whitsunday Islands - BEST FISHING SPOTS IN WHITSUNDAYS! 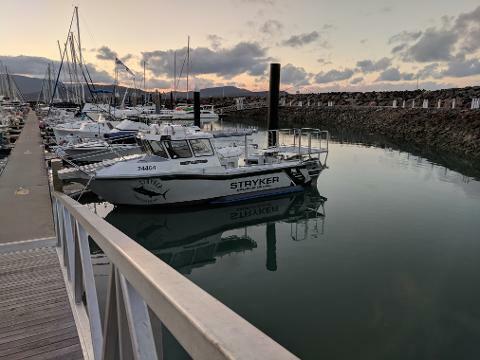 If transfer not required, Meeting Point & Time is: Abell Point Marina North Village Wharf B1- next to ( Shingley Drive , Airlie Beach) - 7.45am ( AM Charter) / 12.45pm ( PM Charter). Our Vessel is closest to Sorrento Restaurant. We offer "Maximum Fishing Time!" 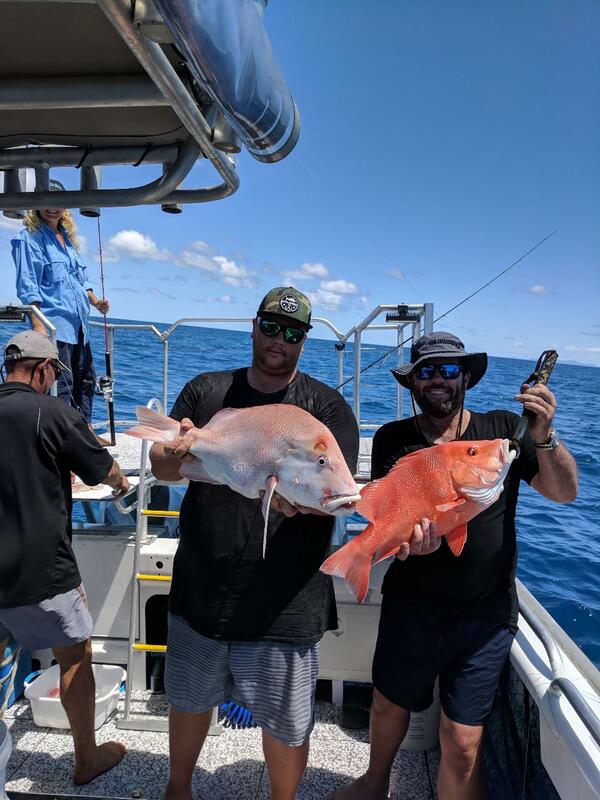 " If you are looking for a Whitsunday fishing adventure with plenty of action, local knowledge and personalised service, look no further! 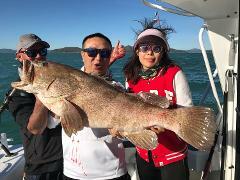 Airlie Beach Fishing Charters are the local experts in fishing the Whitsunday waters, always securing the catch of the day and plenty of exciting memories along the way!"